The desire to trade what we have for what we want has shaped how people and nations have interacted for millennia. Join the brilliant minds of the commercial world – the people taking an analytical approach to problem-solving, and influencing change. If you’re a clever thinker who likes to unpack problems and consider ideas from a fresh perspective, commerce presents a world of exciting career prospects. To think conceptually, solve problems analytically and use data to make informed decisions. The perfect foundation for a career in business. You have strong mathematical skills, and enjoy analysing problems to find the best solutions. With 11 double degree options and 10 majors (including areas such as Sustainability and Behavioural Commerce) there’s loads of flexibility. Understand the crucial role accounting plays in every business. Through financial statements, accounting allows a company to communicate its operations, financial position and cash flows to key stakeholders. You’ll learn the ins and outs of recording, reporting and analysing financial transactions – and how to use this information strategically in a commercial context. Learn how to use mathematical, econometric and financial models to identify, analyse and quantify risk within a business. You’ll develop the technical skills to forecast commercial scenarios – for example, the likelihood of economic or property loss, and the impact this would have on insurance premiums, superannuation and other types of financial investments. Depending on your electives, this major could prepare you for accreditation with the Actuaries Institute. Understanding how and why consumers, producers and employees behave the way they do is a hugely important part of any successful business. In this major, you’ll use psychology to explain human behaviour in a commercial context – then use this information to understand how business decisions affect the economy, corporations and the public sector. With more data being generated than ever before, having the skills to turn raw findings into useable insights is incredibly valuable. Learn how to use data to predict the outcomes of different decisions, and guide businesses in the best direction for their future. You’ll develop mathematical, statistical and computing skills, and learn to analyse complex data in a commercial context. Today, businesses are dealing with an unprecedented volume of data – but to use it effectively, they need to process it quickly and efficiently. In econometrics, you’ll learn to use mathematics and statistics to interpret data, analyse information, develop economic and business forecasts, construct econometric models and help organisations make sound economic decisions. Learn how individuals, households, companies and governments interact, and discover how different systems (including labour, healthcare, financial investment and tax) work as part of a greater society. This major will teach you to assess and implement policy change in areas as wide-ranging as tax, government spending, poverty and the environment. Learn how to manage and invest money on behalf of organisations, and how to solve complex financial problems using mathematical models and techniques. This major covers asset and risk management, capital markets, stock portfolios, international finance, forecasting and budgeting and how financial policies and products are developed. How an organisation manages its resources has a huge impact on its overall success. You’ll build the skills to analyse and resolve complex issues in a variety of industry sectors, both government and professional. Your studies will include the latest management theories, organisational behaviour and strategic management. Build a solid understanding of the theories behind successful commercial marketing, and use it to help businesses overcome challenges within their organisation. This major will give you the confidence to develop effective marketing strategies that help organisations track and achieve their goals. As consumers become increasingly aware of the impact their commercial decisions have on global systems, organisations are moving towards more sustainable and ethical practices. In this major you’ll learn the strategies to deal with the complex economic, social, environmental and sustainability issues facing businesses in every sector. View the entry requirements for this course. Fees are subject to change annually. View course fees information. View loans and other assistance available to Monash students. Find out how you can achieve your full potential and make your mark on the world. Start with a scholarship or grant. You’ll have the professional skills to manage an organisation, and the analytical abilities to transform businesses from the inside out. It’s a strong foundation that could take you in many different directions – from data analytics, to consulting, finance and economics, in any industry. 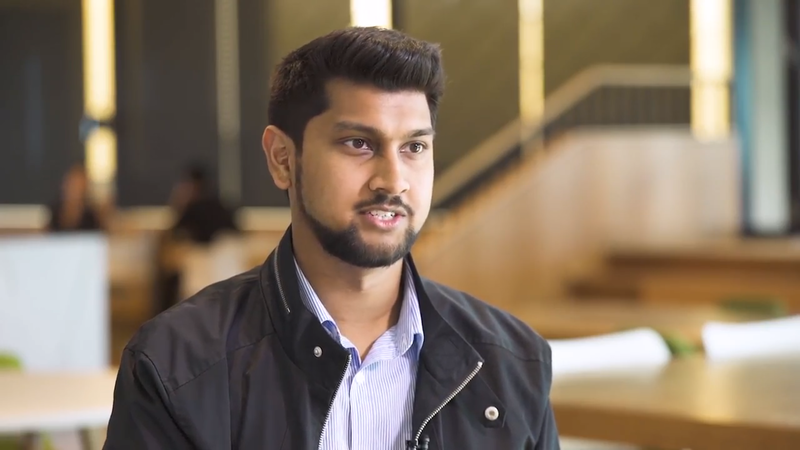 Shamron Singh shares the benefits of studying with Monash Business School and tips on how to get the most out of your degree. Authorised by: Chief Marketing Officer, Strategic Marketing and Communications. Maintained by: Business Webmaster Team. Last updated: Mar 2019.